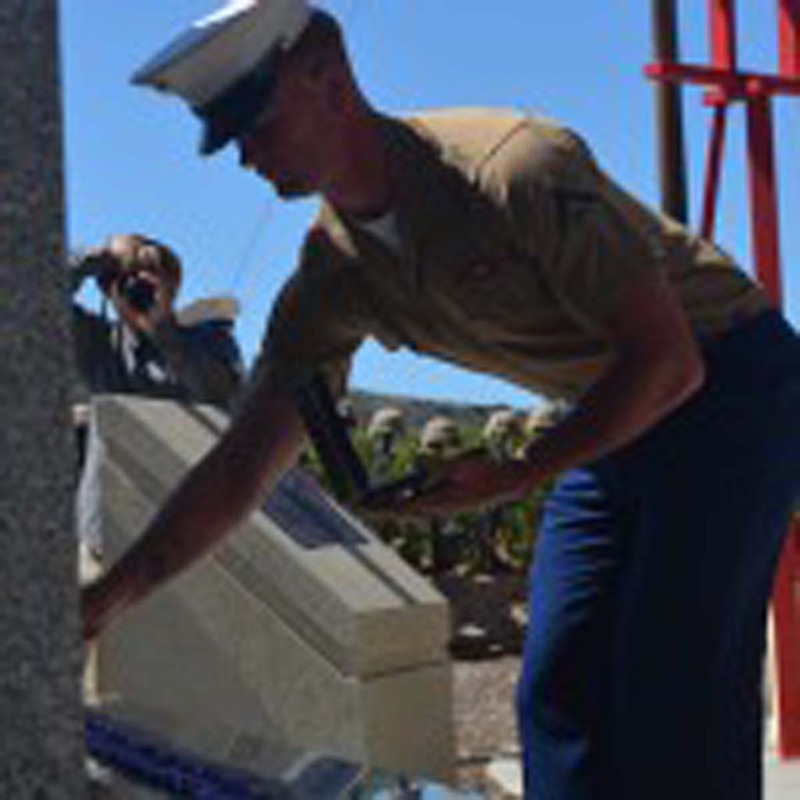 CAMP PENDLETON – Nancy Walker approached a great stone slab. Carved in the face of the marbled stone were the names of the Marines of the Second Battalion, 4th Marines killed in action while serving in the Iraq and Afghanistan campaigns. One of those names carved into the slab was her son, Staff Sgt. Allan K. Walker. Holding a sheet of paper against the stone, and with a wax pencil, she began to etch her son’s name and the names of some of the other Marines he was with onto the page. Staff Sgt. Allan K. Walker, 29, was killed April 6, 2004 – a day that would signal the transformation of the Marines’ mission: one of providing stability to one of full out urban combat in the Iraqi city of Ramadi. The Magnificent Bastards, a moniker given to the Second Battalion, 4th Marines, faced a series of ambushes that day, and which would lead to several days of fighting. The fighting would become known as the Battle of Ramadi. The Marines lost 34 Marines and one Sailor during the days of fighting. 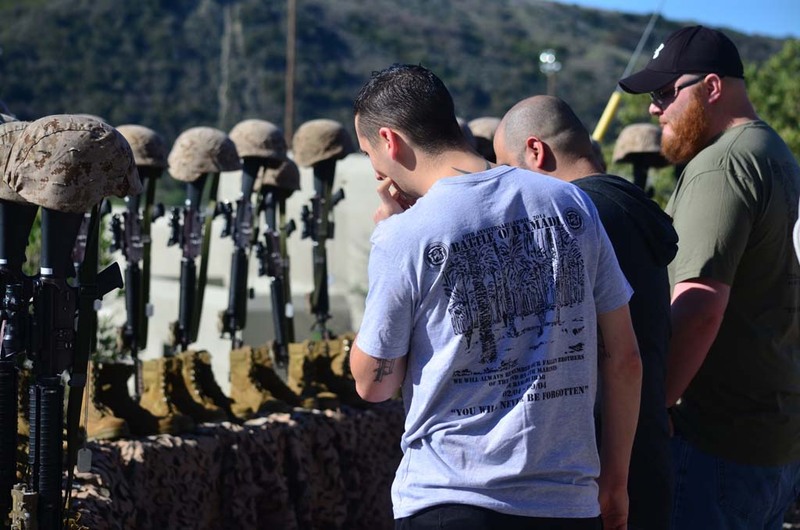 Ten years later, on April 6, the Marines of Second Battalion gathered to commemorate the battle and those lost in the fighting. 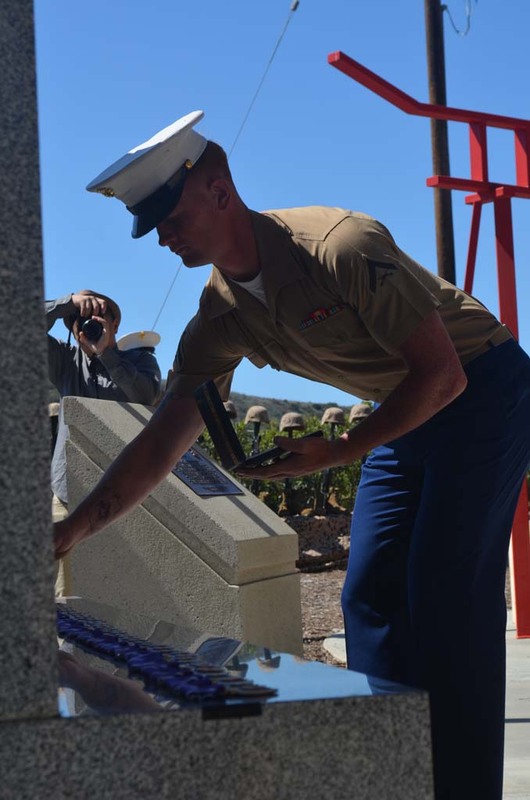 Opened last summer, the San Mateo Memorial Gardens near Camp Pendleton’s San Clemente entrance, was established in honor of those Marines killed in action in Iraq and Afghanistan. 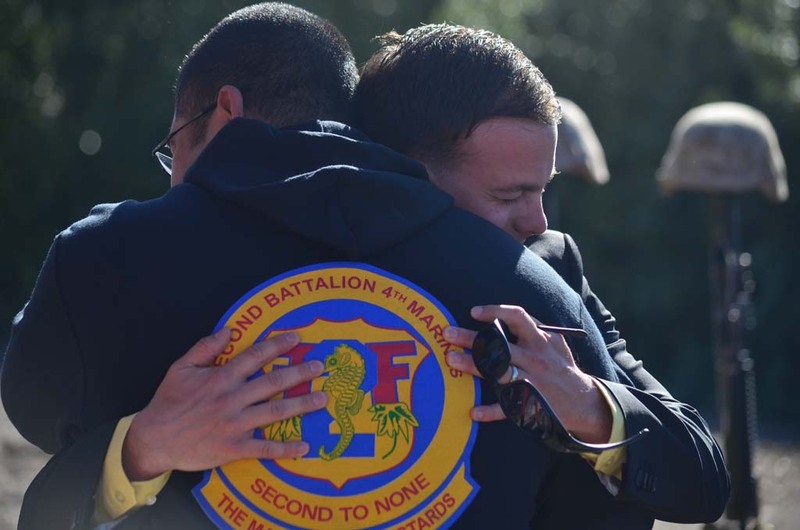 For some Marines that had taken part in the battle, it was the first time they had seen one another since they’d left the Corps. 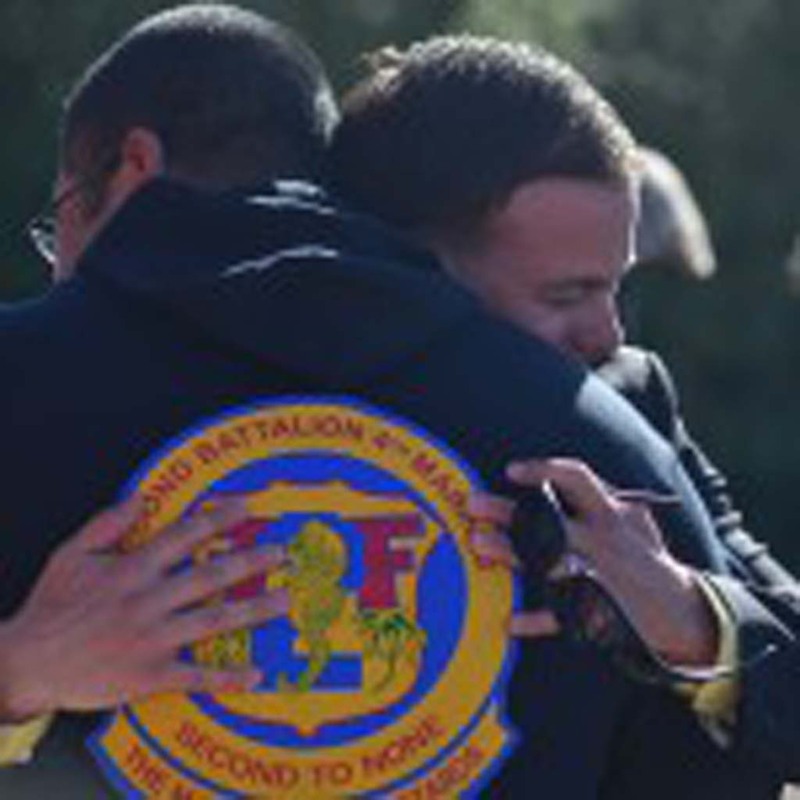 Gold Star Families, those families that have lost Marines, seized the chance to reconnect with each other. 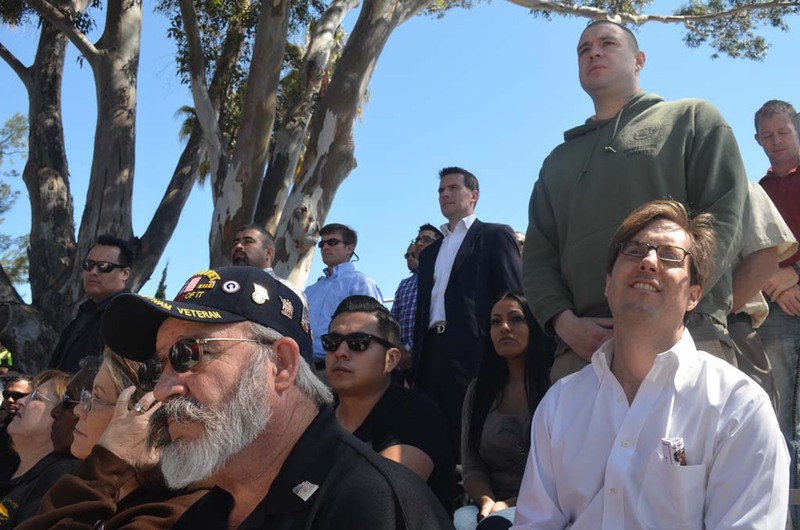 Sandra Alceves’ son Petty Officer Fernando “Doc” Mendez, 27, was the sole Sailor killed in action. Mendez was deployed in February 2004; on March 6 he celebrated his 27th birthday. Just a month later he was killed in the attack. He was riding in the first Humvee of a convoy, along with Walker, when the ambush commenced. “We need to get together as a form of closure,” Alceves said in regards to the commemoration ceremony. Back in 2004, Sandra, Nancy and some of the other mothers who had lost sons would get together each year. At that time, they were all they had to rely on to help cope with their losses. But now, Alceves said, there are a lot of other organizations to help provide support. “Today, we are surrounded by heroes,” said Lt. Col. Robert Weiler. “The veterans of the Battle of Ramadi probably don’t think of themselves as heroes. Weiler told the audience that what those Marines did there was special. “Some have not thought about Ramadi in 10 years; some have thought about Ramadi too much; some can’t stop thinking about Ramadi,” Weiler said. April 6, 2004, started like every other day – patrols, relieving security posts, sweeping sectors for IEDs, keeping the peace and trying to instill stability to Ramadi. Nothing prepared us for the catastrophe that would kick off the days of urban fighting and become Iraq’s most notorious city, said Weiler as he read a message from commanding officers of the battle. By the end of the day 12 men were killed, dozens wounded. Exhaustion, confusion and anger ran through the Marines returning from battle. Angry that the city had betrayed them, Weiler said. By April 11, the first major engagement in the Battle of Ramadi was over, Weiler said. The battalion would end up fighting in several more of these types of battles before being relieved. “More American servicemen have been killed in Ramadi than any other city in 12 years of war,” Weiler continued. 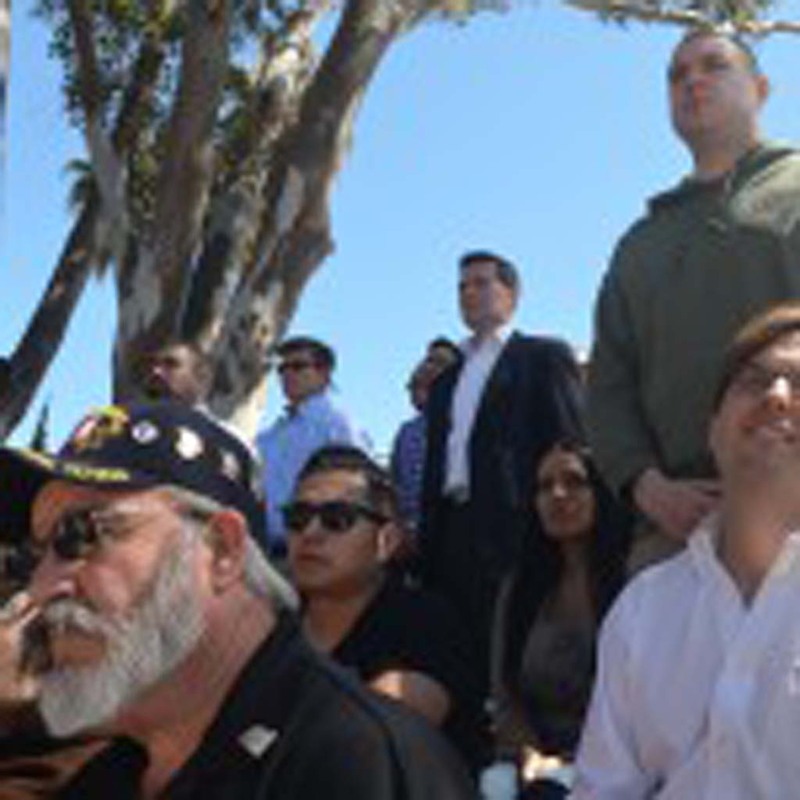 At the end of the ceremony, a young discharged Marine introduced himself to Nancy Walker. He thanked her for her son’s service. “Live well,” she implored him.